STOP! 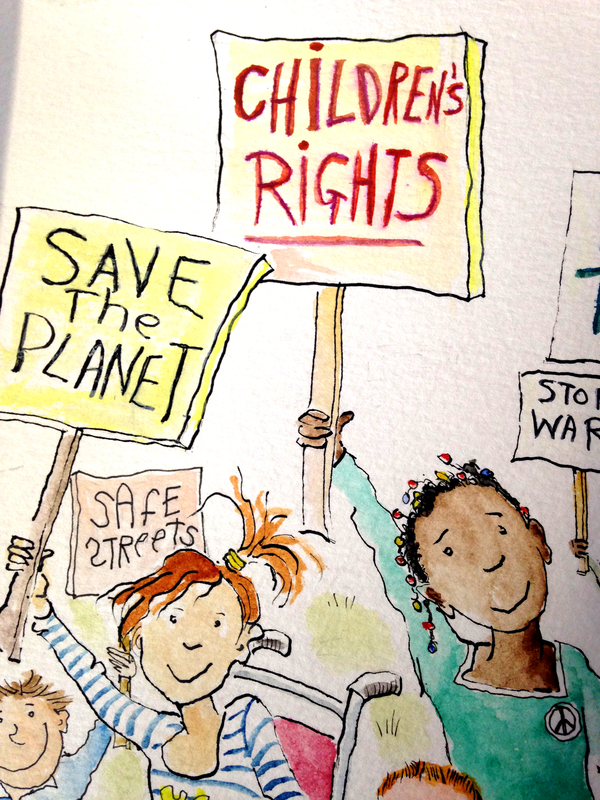 Entries are now closed for the Little Rebels Children’s Book Award for Radical Fiction. And what a fantastic load of parcels have landed at the Letterbox Library offices! The parcel contents are all top secret (obviously) but we can tell you that the submissions have been hugely varied: from boardbooks to graphic novels and starring a broad cast of radical characters, including Ug-A-Lugs, Googlies, Bumbles, Slugs and the odd person. We’re really delighted that this year’s submissions has had a very high representation from small indie publishers alongisde the larger publishing houses. And the award simply keeps gathering apace: we’ve had double the amount of submissions this year and the numbers of publishers submitting is also growing. Now the real work begins: the reading, the re-reading, fuelling on extra carbs (in cake or chips form only, I’m hoping) and finally…the shortlisting. Expect a shortlist announcement at the end of March/early April 2015. And, if you’ve forgotten to do so, please get this in your diary: the winner of the Little Rebels Award will be announced on Saturday May 9th 2015 at the London Radical Bookfair, Bishopsgate Institute, run by the Alliance of Radical Booksellers. Submissions are now invited for the 2015 Prize! Very exciting – can’t wait to see the shortlist. Happy reading!